Thurl Bailey attended North Carolina State University and was a key player in the 'Wolfpacks' miracle run to the 1983 NCAA Championship. That same year, Thurl led NC State in both scoring and rebounds. The Utah Jazz drafted Thurl in 1983 as the 7th pick of the draft. Jazz management reported that he was selected for the quality of his character, as well as, the quality of his game. This was the beginning of 16 years of his playing professional basketball, 12 of those years were with the NBA. At 6'11", Thurl is often first noticed as a basketball player, but he is a man of as much depth as height. His strong sense of service has led to countless hours of volunteer work and to numerous awards for leadership and contributions to the community. Included in his awards are: the NBA's prestigious Kennedy Community Award, the Utah Association for Gifted Children's Community Service Award, Sigma Gamma Chi fraternity's Exemplary Manhood Award, the Great Salt Lake Council of the Boy Scouts of America's American Champion Award and the Italian League's 1998 All Star Games Most Valuable Player. He has directed basketball camps for youth since 1984 where he teaches young people lessons about life and basketball. Many of his students have special needs including coming from disadvantaged backgrounds or having serious illnesses, and they attend the camps on scholarship. 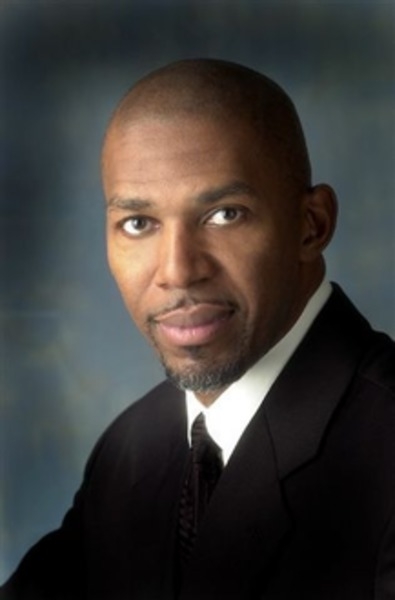 In addition to professional speaking, Thurl is a broadcast analyst for the Utah Jazz and the University of Utah, an actor, and an award winning singer/song writer. His first album, Faith In Your Heart, is a compilation of uplifting songs that won several top awards. His latest CD, 'I'm Not The Same' is released October 2002 with great reviews and is a fusion of original style R&B and nu soul. He is a devoted family man and the father of six children. He and his wife Sindi live in Highland, Utah with the three youngest children. TEAMWORK: "Will the real MVP please stand." Learn how to create a winning team by teaching each member to appreciate the power of the "assist". By applying the lessons that Thurl illustrates, your people can learn to play for the team's victory not just for their own glory. He teaches audiences to understand everyone's role, such as when to step in when needed, and how to fall back into position - all aimed at helping the whole team win. LEADERSHIP: "Don't pass the buck - pass the ball!" Magic Johnson said it wisely, "If a teammate fumbles my pass, it is my fault." In life, as in basketball, leaders must accept blame and share victory. Learn from the examples Thurl shares about how leaders are needed in every position on the court. Learn that a winning game plan requires every team member to be a team leader on every play. Learn the steps to allow leadership to flourish in your organization. PERSEVERANCE: "Our winning defied all logic." Twice Thurl's teams have come from far behind to win national championships. Your corporate team can do the same. No matter what the obstacles are, or what the 'experts' say, your organization can learn tested principles about accomplishing goals. What are the elements of power? ...of satisfaction? On the court, in the boardroom, or in the family room the issues are the same. The keys to incredible effectiveness lie in underrated values: fair play, honesty, trust, integrity, and respect. Learn and laugh with Thurl's short tales and tall truths and discover what matters most to you.